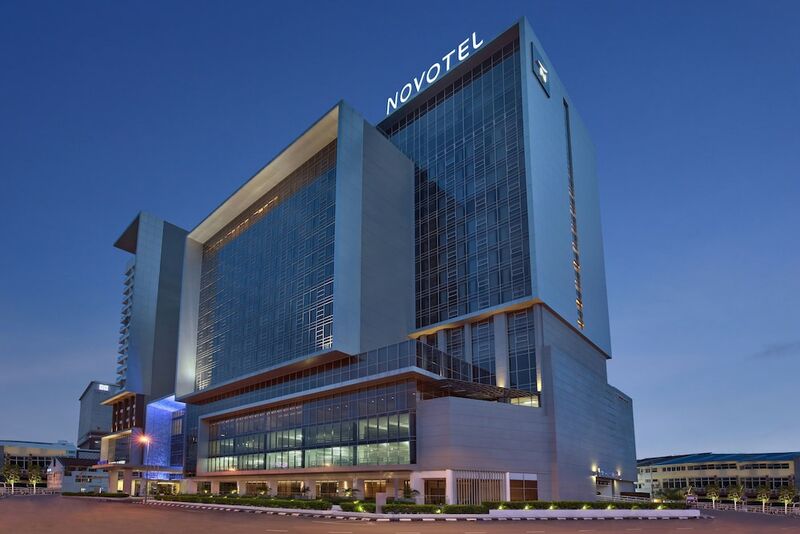 With a stay at Novotel Melaka, you'll be centrally located in Malacca, within a 10-minute walk of Mahkota Medical Center and A Famosa. This 4-star hotel is 0.7 mi (1.1 km) from Malacca Sultanate Palace Museum and 1 mi (1.7 km) from Red Square. Make yourself at home in one of the 351 air-conditioned rooms featuring refrigerators and minibars. 40-inch flat-screen televisions with cable programming provide entertainment, while complimentary wireless Internet access keeps you connected. Bathrooms have rainfall showerheads and complimentary toiletries. Conveniences include phones, as well as safes and desks. Enjoy a range of recreational amenities, including an outdoor pool, a sauna, and a fitness center. Additional amenities at this hotel include complimentary wireless Internet access, concierge services, and an arcade/game room. For lunch or dinner, stop by the Square, a restaurant that specializes in international cuisine. Dining is also available at the coffee shop/café, and 24-hour room service is provided. Relax with a refreshing drink from the poolside bar or one of the 2 bars/lounges. Buffet breakfasts are available daily from 6 AM to 10:30 AM for a fee.